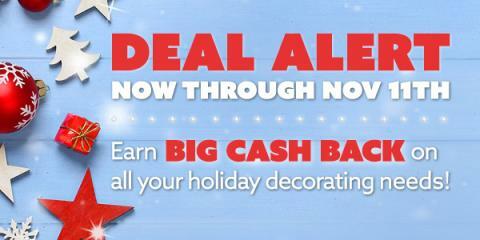 Get Great Deals When Shopping for Home Decor at Swagbucks! As an extra bonus, if you're not a Swagbucks member and join through my link (or you've joined through my link this month), you'll get an one time 200 SB bonus when you spend $25 or more in any of the Swagbucks Shop stores before December 1st! Swagbucks is a great site where you earn SB points for doing every day things online like shopping, discovering deals, taking surveys, watching videos, searching the web, and more. The SB you earn, the more gift cards you can get, which are a HUGE help this time of year. Honestly, I've been taking advantage of the Shop & Earn feature on Swagbucks. Basically, you can earn SBs by doing some online shopping. I shop online a lot so why not check and see if I can get a little extra SBs to go with it and get that much closer to my next giftcard!